Hi there! I hope you all had a good week! 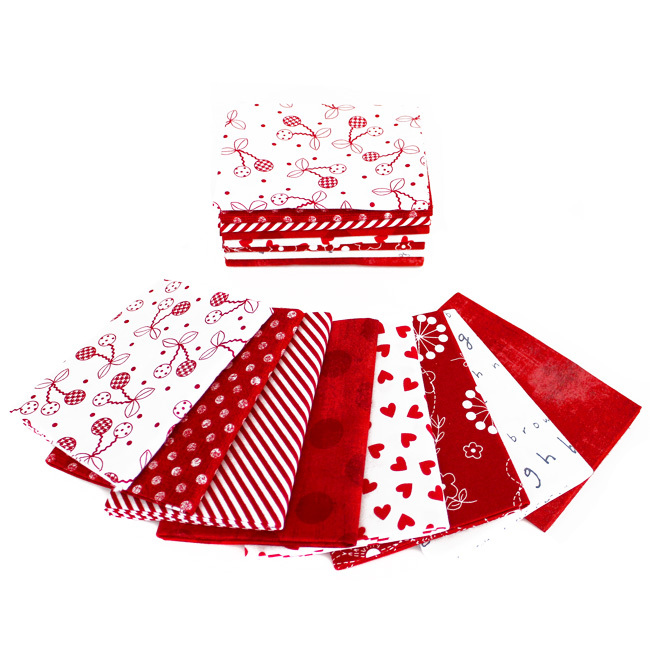 We have a darling bundle to share with you today! 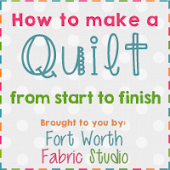 Melanie, from Mostly Crafty is sharing something fun with today's Friday Bundle Batch! Be sure to scroll down for the details! 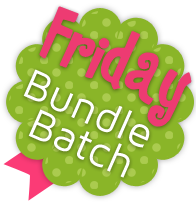 This week's bundle has a glamping theme! 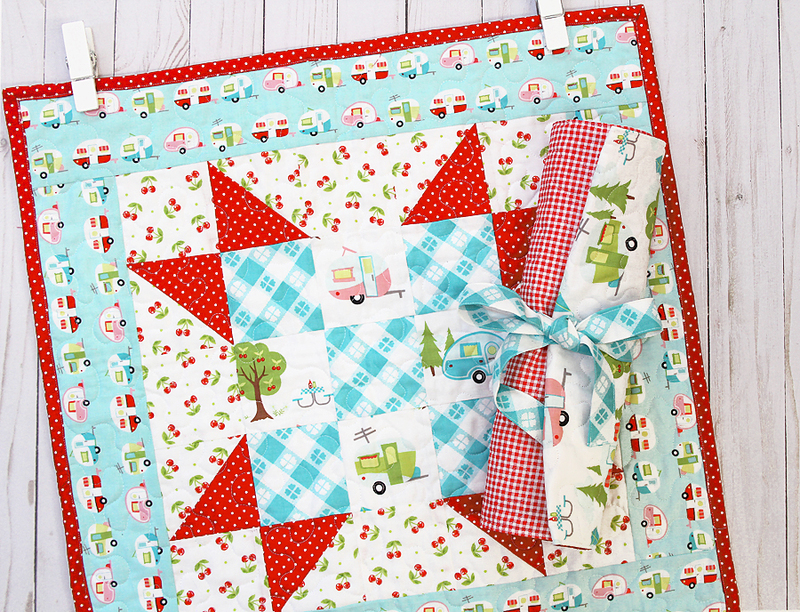 Cute campers and lots of red & aqua! Isn't this bundle just the cutest?! 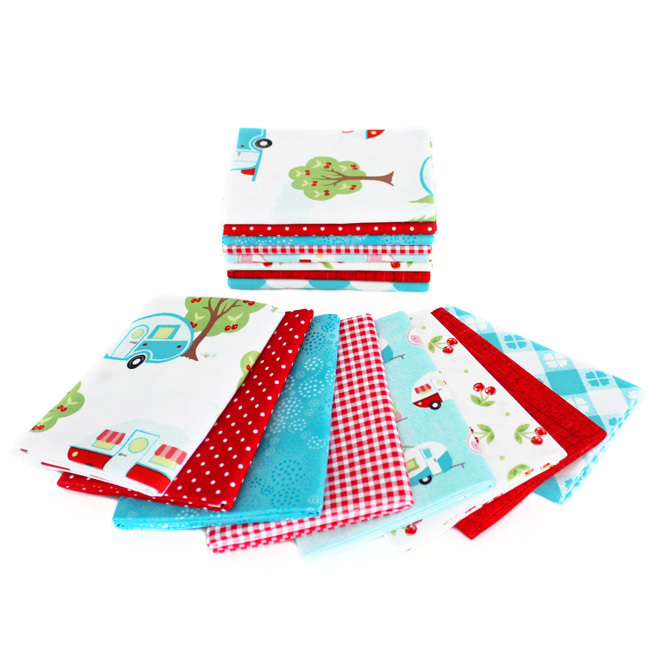 I just love glamper prints, and this bundle is full of the cutest glampers I have ever seen! Melanie has made a darling mini quilt AND a cute little doll sleeping bag out of today's bundle! 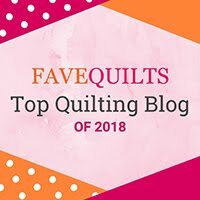 For all the details on these cute projects, stop by Melanie's blog!